In the current episode of Economic War Room, we discuss the energy war among other topics with Jacki Deason. We cover the American Shale Revolution and its impact on Russia, the Middle East, and Latin America. It’s a great episode and well worth watching. 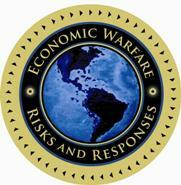 You can access a FREE trial and our Economic Battle Plan™ at our website. Jacki is an expert in multiple areas, including energy, our government, and the national debt. Better still, she understands concrete solutions. “The Saudis say: let the Americans pass NOPEC and it would be the U.S. economy that would fall apart,” another source said…. The Saudis understand the potential threat to their oil empire. They are basically saying they will upend the global economy’s Monopoly board if threatened. And I do not believe their responsive threat is idle. Previous post: What We See as a Marketplace….